Uviglie Castle offers on the ground floor wide frescoed halls overlooking the Roof Garden with its aspect born from the union of an old box hedge – in the typical clear-cut pattern of the “giardino all’Italiana”- and a border of lilies (Convallaria Iaponica), giving a vague oriental air. The wisteria all over an ancient gazebo and the well with its stone pillars – a typical neo-classical insert – overlook the whole garden. Climbing the great staircase you reach the first floor with the Music Room and its mosaic floor made with the typical 19th centuries inlays (walnut, cherry, maple and durmast wood). 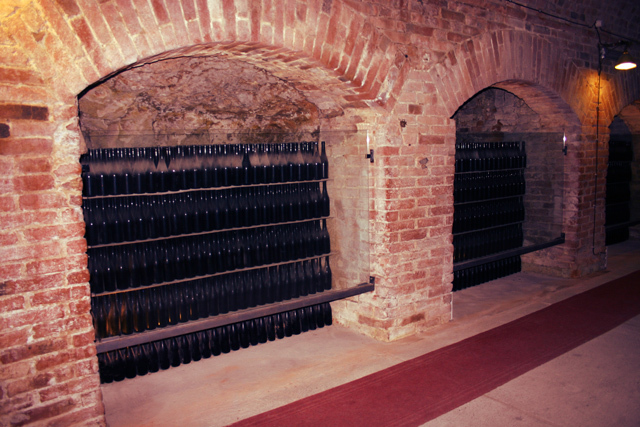 Placed under the halls of the noble wing of the Castle, the historical cellars are built in different styles and show two characteristic “infernot” in order to preserve the precious wine bottles in an exhibition of vintage bottles together with some of the tools used by the master cooper. In the tunnel a memorial plaque is to remind that the corpse of the blessed Father G. Allamano, founder of the Order of the Consolata, was kept there during the whole World War II. 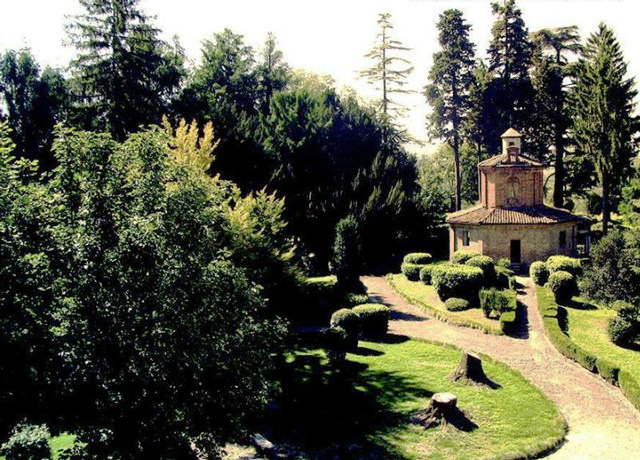 The centuries old park of the Uviglie Castle it’s been recently restored and it is counted among the Region Piemonte “Botanical Historical Gardens”. It is an expanse of 56,000 sqm that reveals an architectural conformation typical of the landscape gardens of the middle 19th century. 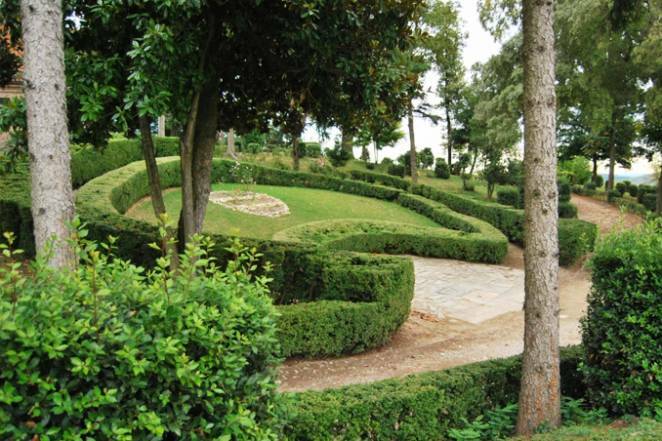 There are many examples of rare and exotic species as to be regarded in the early years of the 20th century among the one hundred best works of Italian landscape architecture. Examples of very old trees are an Holm-Oak, a Sequoia, two Cedars of Lebanon placed on the most panoramic spot in the park, a four hundred year old Beech which is the oldest specimen and also a very rare Yew tree. 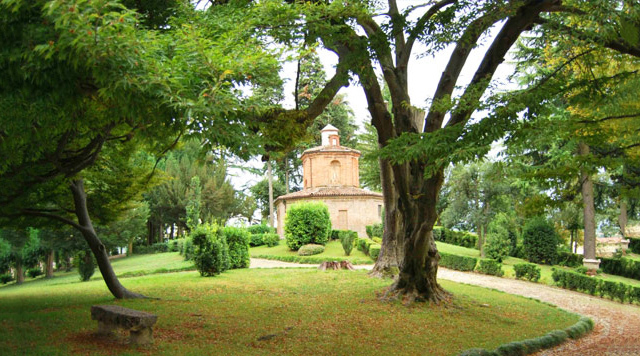 The Uviglie Castle rises up on a pleasant Monferrato hill, it is a charming and refined location for events, ceremonies and meetings. Our wines are the result of a great love for our region and for our vineyards. Thanks to their beauty they belong to the UNESCO world heritage site. An elegant, refined and efficient location that can host any kind of event and it can provide a “made to measure” service offering the greatest care of any details.